Family Law is a broad legal term with deeply personal and life-long implications for every individual associated with a Family Law matter. 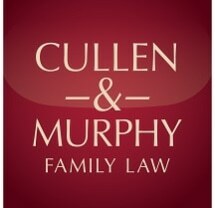 At the Law Office of Heather M. Cullen, we represent family members at a time of turmoil and high emotional stress, and we see our role as that of a guide, helping our clients through the legal steps in a difficult and painful process. We are a full-service Family Law firm committed to high-quality, personal legal representation in cases of divorce, parental relationships and domestic partnerships and their individual issues including property division, child custody, and support. Our work is fast, fair, and thorough. We seek to reduce the financial and the emotional toll of divorce proceedings through out-of-court settlements when possible, because that is almost always in the best interests of the client. However, we provide strong advocacy on your behalf at every stage up to and including trial when necessary. Additionally, it is not always necessary to personally appear in California for every issue of your case. Our office is versed in helping our out-of-state clients maintain an effective case while remaining in their home state by using telephone, fax, email, and overnight mail to communicate and resolve issues. Further, many Family Law matters can often be handled remotely, through a representation by our office or by telephone appearance. Throughout our representation of each individual, we take the time to get to know you, to understand your unique set of circumstances, to help you identify your goals, and to offer sound legal advice with regard to your best options. We invite you to contact our office today to discuss your concerns. We represent clients throughout Riverside and San Bernardino Counties including the communities of Riverside, Corona, Norco, Temecula, Murrieta, Hemet, San Jacinto, San Bernardino, Rancho Cucamonga and their neighboring communities. Alverson , Lindsey N. Esq.